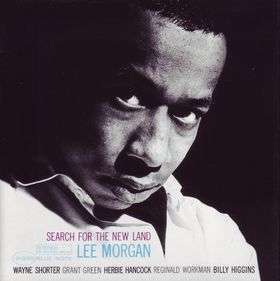 Lee Morgan recorded ‘Search For The New Land’ just two months after the classic ‘Sidewinder’ session. The unexpected crossover success of ‘The Sidewinder’ which carried on throughout 1964 and into 1965 led to the delay in the release of ‘Search For The New Land’ and the recording of ‘The Rumproller’ as follow-up. An understandable decision by Blue Note to cash in on this success, meant that this sextet session has remained something of a curate’s egg. The music is however stunning. The title cut ebbs and flows. Its melody is simple yet captivating. Lee Morgan, Wayne Shorter, Herbie Hancock and guitarist Grant Green (never heard hi, in this conceptual context before!) explore the theme as the voyage the title suggests. ‘Search For The New Land’ is 15 minutes of tonal exploration and wonderful music. ‘The Joker’ is as its title implies a much lighter piece with Green and Hancock to the fore. The forceful ‘Mr Kenyatta’ is a driving slice of 60’s Hard Bop. 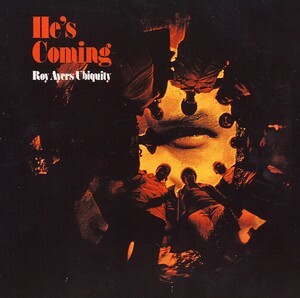 Lee Morgan wrote the five tracks that comprise this album with ‘Melancholee’ and ‘Morgan The Pirate’ completing the session recorded on February 15 1964.